Zurich, Switzerland, February 22, 2019 – At the Ordinary General Meeting (AGM) to be held on March 21, 2019, DKSH’s Board of Directors will propose to elect Marco Gadola, Dr. Wolfgang Baier and Jack Clemons as new members of the Board. If elected, Dr. Wolfgang Baier and Jack Clemons will become part of the Board with immediate effect. Marco Gadola, if elected and in line with the Articles of Association of the Straumann Group, will join DKSH’s Board on January 1, 2020, after having handed over his responsibilities as Chief Executive Officer of Straumann Group. 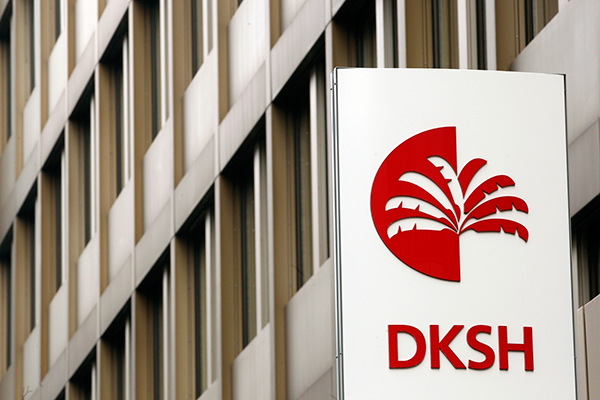 In addition, he will be proposed as Chairman of DKSH at the AGM in 2020. Adrian T. Keller, Honorary Chairman of DKSH, stands for election as Chairman of the Board for one term of office in 2019. With their international industry experience and understanding of the Asian markets, the three proposed members have ideal qualifications to strengthen the DKSH Group in the long-term. Marco Gadola (born 1963, Swiss), Chief Executive Officer of Straumann Group, has long-standing experience in the healthcare, consumer goods and logistics sectors. Dr. Wolfgang Baier (born 1974, Austrian), Group Chief Executive Officer of Luxasia and ex-Chief Executive Officer of Singapore Post, is a well-known expert in logistics, digitization and e-commerce in Asia. Jack Clemons (born 1966, British/Swiss), ex-Chief Executive Officer and ex-Chief Financial Officer of Bata Group, has a ten-year successful track record in the international retail sector and supply chain management. Dr. Frank Ch. Gulich, Andreas W Keller and Eunice Zehnder-Lai will be proposed as members of the Nomination and Compensation Committee. The Board intends to appoint Eunice Zehnder-Lai as Chairwoman of the Nomination and Compensation Committee. Further information about the AGM in 2019 can be found in the invitation.